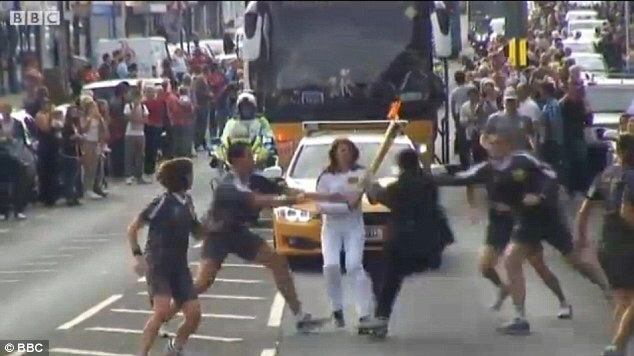 Shouts Allahu Akbar as he tries to grab Olympic flame from torch bearer | can i just finish my waffle? 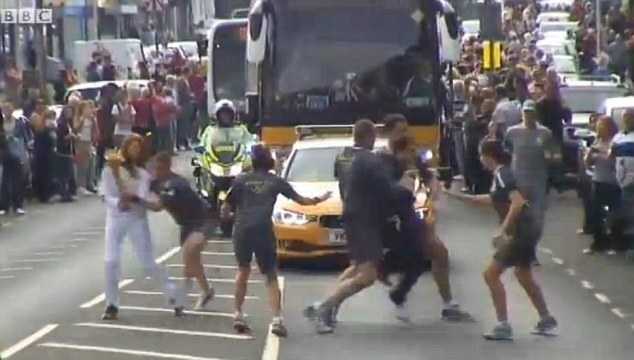 A 17-year-old shouted ‘Allahu Akbar’ – Arabic for ‘God is Great’ – as he unsuccessfully tried to grab the Olympic torch during a stretch of the flame’s route through Maidstone towards Redhill. Broadcast live on the BBC, the youth lunged from the crowd to try to take the torch from the hands of its bearer Anna Skora, but was swiftly bundled away by officers. In one video posted to YouTube he can be seen waiting behind a car and as Ms Skora gets closer he lunges towards the torch. Ms Skora was about to hand over the torch to Graham White, a Surrey charity worker, when the teenager burst out of the crowd and tried to grab it. He managed to get through the line of police officers escorting the torch as it headed through the town. One of the officers at the back of the group swiftly grabbed hold of Ms Skora and the torch, guiding them to the opposite side of the road. Four or five of the other torch guards then bundled the man to the side of the road where he was then arrested. Ms Skora managed to keep the torch upright throughout the ordeal and she continued to smile as she completed her stretch of the Olympic flame relay. 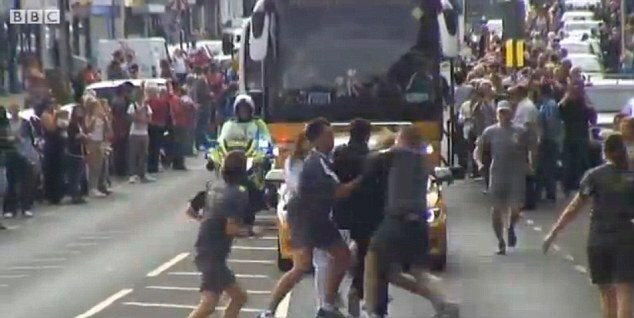 The incident happened as the torch was being taken into Gravesend on Friday morning.